Having been home to the Habsburg dynasty for many centuries, Vienna isn’t just Austria’s capital city. It is, in fact, it’s cultural core and abundant in deep-rooted traditions and stunning architecture. Yes, Sissi used to live here! And her beloved Sachertorte can be ordered in most of Vienna’s many coffee houses. The likes of Mozart, Haydn, Beethoven and Schubert also frequented this city, and so did Hundertwasser and many other, famous architects. You name it – Austria has been, and still is, one of Europe’s major cultural hubs. Book your cheap flight tickets to Vienna from London now and enjoy a truly unique city! A visit to Vienna is a visit to its Habsburg history. Therefore, a stroll through its historic city centre is an absolute must. Also called an “open-air museum”, it features some of the best Gothic, Renaissance and Baroque architecture in the world. Check out its center piece – the St. Stephen’s Cathedral (Stephansdom) in its Gothic charm – and know that right around the corner, there’s two more absolute must-sees. Every Viennese knows that the “true” Sachertorte needs to be enjoyed at the Café Sacher just a few minute’s walk away. And, literally on the way to there, you will pass by the Imperial Crypt (Kaisergruft), where most of Austria’s former kings, queens and emperors have been laid to rest. What may seem slightly macabre is, in fact, highly interesting. Take a tour through the crypt to discover the sarcophaguses of kings from as early as 1000 AD, right through to the last member of the family who passed away – Otto of Habsburg. And, yes, this also is where Sissi is lying in her eternal sleep. On another note, Vienna also has one of Europe’s finest arts museums. No matter if you are into art or not, you will definitely be impressed with the Kunsthistorisches Museum in Vienna! However, if you prefer to continue your discovery of Habsburg life, you absolutely need to check out the Imperial Palace (Hofburg), which was the city residence of the emperors. 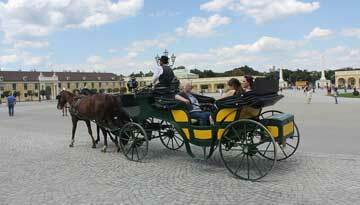 Equally beautiful is Schoenbrunn Palace, the summer residence with its beautiful parks! For some other jewels in the city, check out the Hundertwasserhaus, which is on par with Gaudí’s architecture in Barcelona. Another must on your bucket list is a ride on the giant Ferris Wheel on the Prater to enjoy the nice views of the city. This is especially romantic at night! Also, know that famous architects like Coop Himmelblau live in this city and have left their traces as well. To complete your Vienna adventure, we recommend taking a tram out of the city and enjoying a traditional Heuriger. This is a special type of tavern that serves traditional Austrian food to their own wine, accompanied by traditional Austrian folk music. As in most developed cities, it is easy to get around Vienna. Its historic centre is walkable, and the city is known to be bike-friendly. Also, it has an extensive metro, tram and bus network. Vienna is particularly nice from April to September, when temperatures are warm and the parks nice and green. 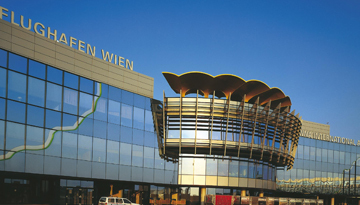 There are various cheap flights to Vienna which are available round the clock. You must compare various flights prior to choosing the one which saves you money. Lufthansa offers low cost flights to Vienna from London - price starts from £209 return. 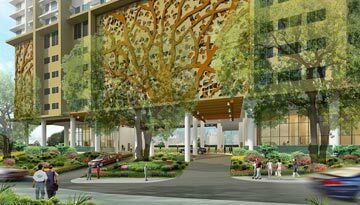 Green Mango City Condo offers 4 star 1 night room stay at £66 & save up to 30%. Fly from Bristol - Vienna & Stay for 7 nights with 4 star accommodation. Room Only.